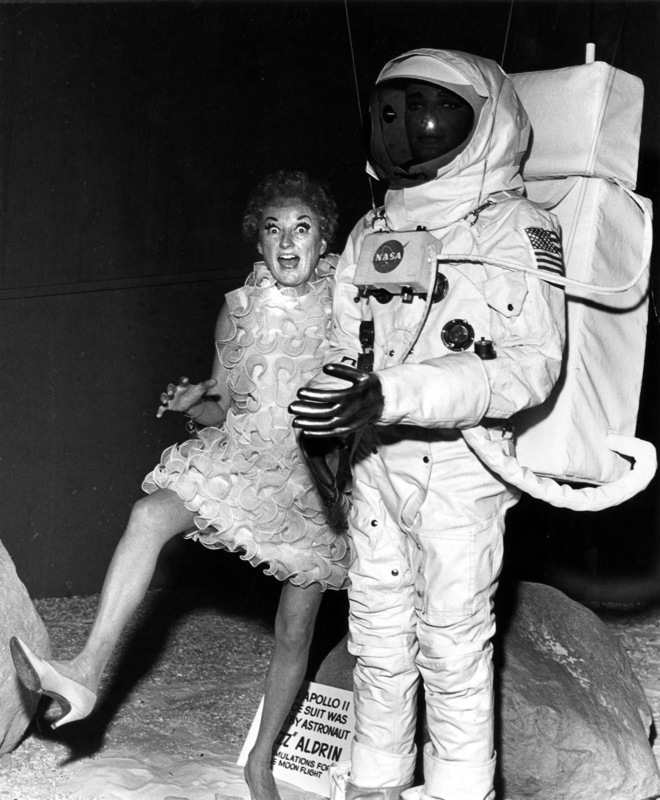 CVA 180-4190 – Phyllis Diller with mannequin wearing Edwin ‘Buzz’ Aldrin’s Apollo 11 spacesuit in Pacific Coliseum display, 1969. This entry was posted in art and tagged actress, bc, edwin 'buzz' aldrin, history, moon walk, pacific coliseum, phyllis diller, PNE, spacesuit, vacouver. Bookmark the permalink.